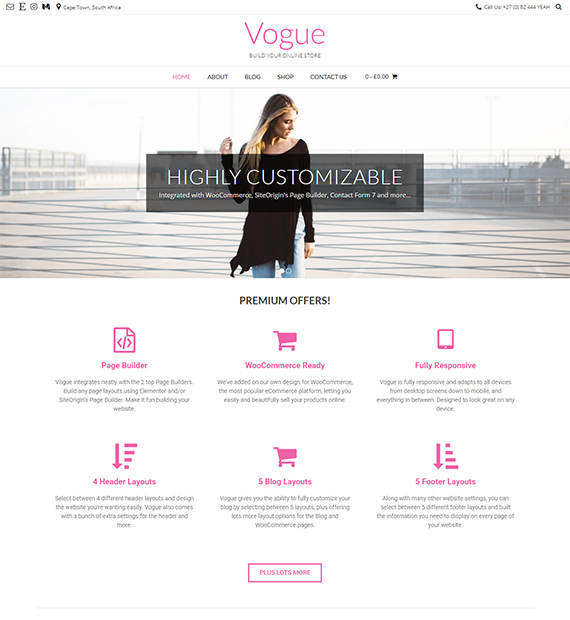 A highly customizable theme with an easy to use Page Builder, Vogue is a multipurpose WordPress theme suited for almost any type of website. Responsive and fast loading, this theme gives you the full control of what the layout and design will look like. With variations of customization option for every element on the theme, this is one that will certainly make your website stand out from the rest. Try out this pretty design and theme and it will make sure all of your requirement and needs are met!